« Did Herod think Jesus was John the Baptist? 17 “Do not think that I came to abolish the Law or the Prophets; I did not come to abolish but to fulfil. 19 Whoever then annuls one of the least of these commandments, and teaches others (to do) the same, shall be called least in the kingdom of heaven; but whoever keeps and teaches (them), he shall be called great in the kingdom of heaven. Jesus is speaking in this passage about the Law and the Prophets: the Hebrew Bible or the Old Testament in connection with his coming. He came to fulfil them. By saying so he declared actually to be the Messiah as there was only one who would be able to fulfil the Law: the Messiah. This is the nucleus of the paragraph and the key to explain it. This is also the central message of Matthew’s gospel. However there is one significant problem in this saying of Jesus: he seems to say that the Hebrew Bible will remain intact until the end of the world. But what about some tiny scribal errors in the old Hebrew manuscripts? Was Jesus wrong? Isn’t this a Bible Contradiction? The Chicago Statement on Biblical Inerrancy (1978) is an instructive document about the evangelical view on the Old and the New Testament concerning the value of the Old Testament. – (My comment) We see that inerrancy goes back – strictly speaking – to the original (autographic) text of the Biblical books. Of course the framers of the Statement knew everything about the phenomenon of variant textual readings due to minuscule scribal errors, even in the best representatives of the Hebrew text. It is a general accepted task in theology that the variant readings have to be studied to point out the most likely readings. – (My comment) Despite the small issue of variant readings in the Bible one still accepts the inerrancy of the Book. Before we will continue I would like to explain how I personally deal with the seeming problem that a tradition with ‘small errors’ can still be inerrant. Jesus, the living Word, ‘being delivered into the hands of men’ got holes in his body by torturing and crucifixion. In this mutilated state he became the Savior, hurt and yet perfect. So in my view the Hebrew Bible also ‘being delivered into the hands of men’ can be called hurt but still perfect in meaning. Let’s now turn to the question “Was Jesus wrong? Isn’t Matthew 5:18 a Bible Contradiction? “For truly I say to you, until heaven and earth pass away, not the smallest letter or stroke shall pass from the Law until all is accomplished,” is this correct? Verse 18 is pretty remarkable as it has two ‘until-clauses’ (“until heaven and earth pass away" and “until all is accomplished”). Traditionally the second ‘until-clause’ is seen as a repetition of the first (both referring to the end of the world). Nevertheless these double ‘until-clauses’ are rather unusual. Two ‘until-clauses’ referring to one time indication are possible if the second gives an explanation or reinforcement of the former (e.g. Matthew 17:17 reinforcement: “How long shall I be with you? How long shall I put up with you?”). However is the first clause “until heaven and earth pass away” explained or reinforced by the second “until all is accomplished”? No, the second doesn’t seem to add in any way to the first until-clause. With these considerations in mind it is time to rearrange the division of the paragraph with new punctuation marks in red. The first until-clause (18a) doesn’t cover only verse 18, but verses 18-19!! And we take the second until-clause (18b) for the period of Jesus' ministry of about two years. – a small letter instead of a capital (whoever). From exegetical point of view it is customary to take all considerations into account concerning a passage, also the punctuation marks. So it is absolutely correct to consider this new approach of this passage. And what is the meaning now? When Jesus said that “not the smallest letter or stroke shall pass from the Law,” he certainly expressed a general accepted theology in Judaism of his days. The Judeans and Galileans knew that the temple was the place of sacrifice. But of old it was also the place of the preservation of the holy texts, the Temple Text. Moses already gave the Law to the priests as guardians of it (Deuteronomy 31:26-29). Records of important decisions between prophets, kings and people were deposited in tabernacle or temple during the history of Old-Israel (Joshua 24:26, 1 Samuel 10:25). The temple had always been the center for prophetical books. After the period of the Babylonian Captivity, in Ezrah’s time, the book preserving function of the temple had been continued. In Nehemiah 9-10 we read that the people of Judea submitted to the Law and to what the Prophets had said. They brought their commitment to the books under an oath of death penalty if they would not keep the Law. This implied the necessity of the weekly reading in the synagogues of the Law and the books of the prophets. With this background it is easy to understand that the people in Jesus’ time were acquainted with variant readings (tiny copy errors) as there was an intensive copying of holy books for the synagogues that were built in the Middle East. From the accurate formulations of Jesus (see earlier) we learn that Jesus reckoned with a perfect text (Temple Text) during his ministry, and also that he was aware of the end of the temple (Matthew 24:16-20, Luke 21:20-24) and consequently of the end of the preservation of the authoritative (autographic) text of the Law and the Prophets. Only the synagogical texts would remain and within that framework the phenomenon of tiny scribal errors. After the fall of Jerusalem and the temple, Flavius Josephus wrote about the triumphal procession in Rome. The last spoils were taken from the temple and also the Law: “and the last of all the spoils was carried the Law of the Jews.” (Jewish War VII,5,5) Nobody knows what happened later on in history with this important text. And so – concerning the Hebrew Bible – we don’t possess autographs (original normative texts); Jews and Christians have to work with copies written in different places and centuries. Fortunately the few and tiny scribal errors are no great loss for the right understanding of the text. Jesus already prophesied about this state of affairs. No Bible Contradiction at all in Matthew 7:17-19, but a prediction of Jesus that exactly occurred during the ages to come. Jesus said about his own words: “Heaven and earth will pass away, but My words will not pass away.” (Matthew 24:35) Certainly the same picture is to be drawn concerning the New Testament, despite the fact that the number of variant readings is comparatively greater. The apostles wrote their books without scribal errors, but in the process of copying scribal errors entered into the books being delivered into the hands of men. Of course there will always be discussion about variant readings that rise above trivialities. Only about one-eighth of all the variants have any weight, ‘but none of them has any relation to a doctrinal or moral implication of the Christian faith (Dr. Ph. Schaff)’. They actually constitute a text that is 98.33 percent pure (Geisler and Nix, A General Introduction to the Bible, Moody Press, Chicago, 1968). 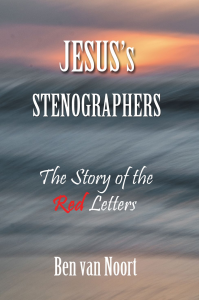 The remaining 1.67 percent form together the holes in the transmitted text of the New Testament which refer in a special way to the mutilated state of the Lord being delivered into the hands of men. In that despised state the Word reveals God’s bright shining light of his salvation to the world.